A couple years ago, I was developing a project about artists who donate time and money to charitable causes. Some famous people probably contribute because their publicity agents direct them to do so, but many stars contribute because they care. 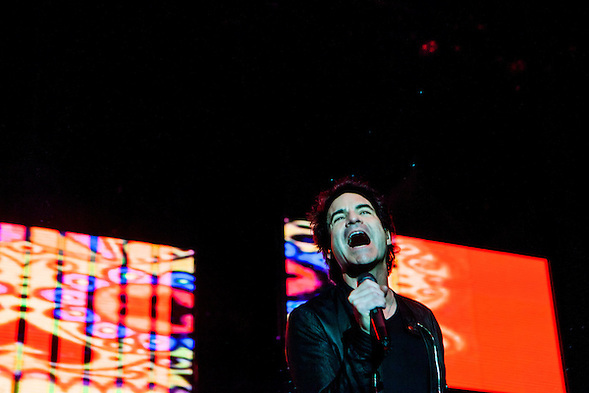 Train and their lead singer Pat Monahan fit into the second category. For many reasons, these contributions are not often photographed well. Perhaps it takes a unique talent for a photographer to deal with fame and tragedy. On Train’s new album, the song (and video) “Give It All” promotes suicide prevention. Just as many other music fans, I have my own personal story with suicide so I appreciate the message. The video includes a link to the National Suicide Prevention Lifeline. Train also supports other charities. 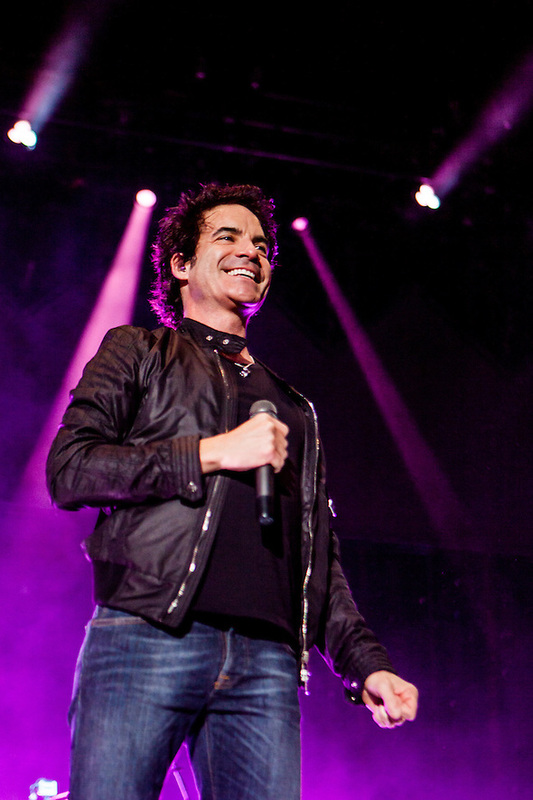 Pat Monahan performed at the Acoustic-4-A-Cure concert to benefit the Pediatric Cancer Program at UCSF Benioff Children’s Hospital. Many artists also visit patients and families to raise spirits. In 2009 I passed an opportunity to photograph a life changing event. (I made the right decision.) Something similar happened during Train’s 2013 Sacramento area concert when an enthusiastic fan showed Pat her support. I had quickly turned to photograph the crowd and snapped a few photo. I don’t use flash. It was dark and yet somehow the photo is composed perfectly without any edits. (The RAW file is saved on my Photoshelter site.) I know Pat saw the woman too, because he paused while singing. Nobody needs to know who it was, because that is not really the story. This entry was posted on Saturday, May 23rd, 2015 at 11:03 pm. 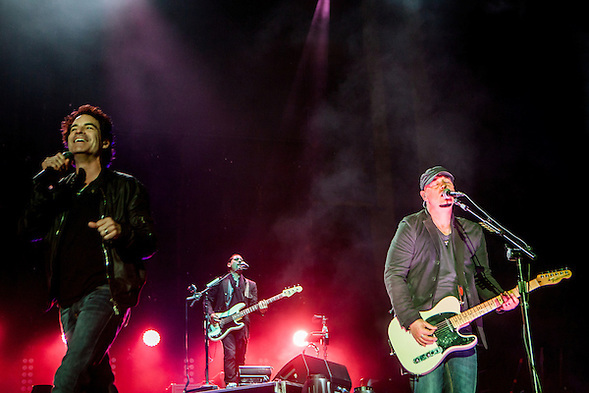 It is filed under Music Photography and tagged with Concert Photography, San Francisco, Train. You can follow any responses to this entry through the RSS 2.0 feed.